Nothing dresses up a box of fine Chocolate like a Ribbon and Bow. 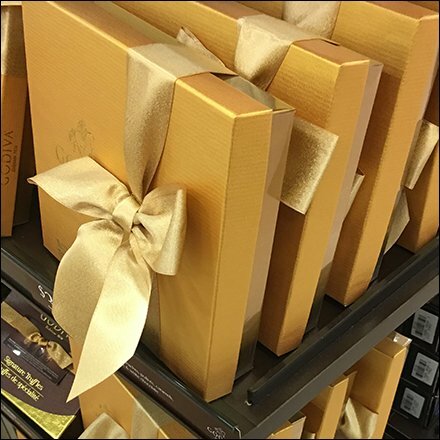 This Godiva Be-Ribboned Box Presentation takes the look to the max with both gold box and gold bow. An upright stance helps insure the Bow does not get crushed before you present the treasure to your intended. Compare to other Godiva Be-Ribboned Box Presentations display threads below. Seen at Bon-Ton.